Make your carpets cleaner than ever by booking a professional carpet cleaning service with the best company in the area of Ealing Common, W5 and in London in general. We offer top quality carpet cleaning procedures at competitive prices and needless to say, our experienced cleaning technicians operate with the latest cleaning equipment released on the market. 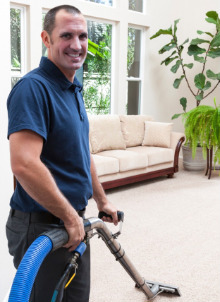 Feel free to contact us at any time and book a carpet cleaning procedure that will be performed in accordance with your schedule and preferences. And the best of all is that you won’t be charged extra even if you decide to get your carpets cleaned during the official holidays. The carpet cleaning that I received from your company was of a first class quality and I am very satisfied with the final results. Thanks to your great and modern cleaning methods all of my carpets have wonderful appearance, without a sign from dirt. 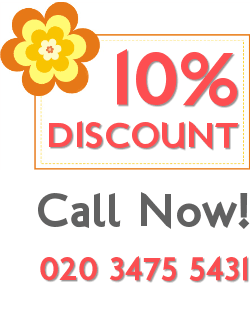 Are you looking for a trustworthy carpet cleaning company in London? Your search ends here. We work 24/7 including weekends and our cleaners are fully vetted and insured. We offer first class services by using the latest cleaning machines and cleaning products that are environmental friendly. Depending on the type of fabric, we can either use dry or steam cleaning method to effectively remove bacteria, grime, dirt and allergens from the carpet. We conduct a free onsite inspection to offer you the right package of carpet cleaning care. Call or send as an enquiry to book an appointment. It is essential to keep your commercial or residential premises sparkling clean, but it can also be challenging. Our company have professionally trained technicians who are dedicated and committed to deliver at their best to meet your carpet cleaning requirements. We use vacuuming machines to thoroughly remove any dust particles and pre-treat high traffic and heavily soiled areas with special solutions. This method disinfects against any bacteria or allergens, and we deodorize your premises for fresh scent. We also design a maintenance program for periodic carpet cleaning in any office, flat, house, commercial or public buildings in London.